Promise to keep, dreams to fulfil and miles to go..
Today being Diwali, the most cherished and jubilant festival of India has always left good memories to me. When I was in India, I joined everyone in the relentless wait of celebrating Diwali with great zeal and utmost joy. Of all the festivals, probably Diwali is the only festival that truly fills light in everyone’s lives. 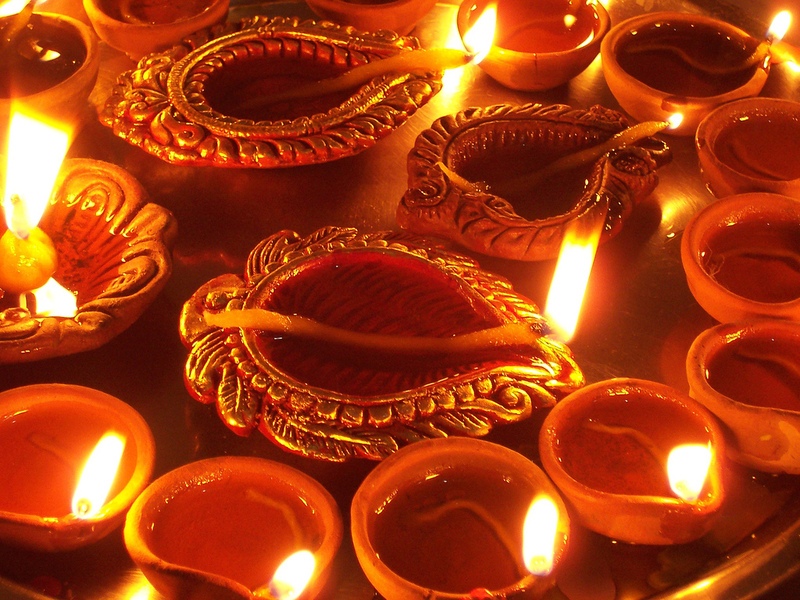 Fondly called ‘festival of lights’ by the west, India celebrates yet another with the same fervor and enthusiasm. And, sitting thousands of miles apart, as usual, I just cherish on my memories and keep almost quite today. As a nation who normally doesn’t know that festivals does happen during week-days, I am among the thousands who’ve lost the feeling of what really a week-day can bring to our lives, especially when it is a festival. Days and years are lost in the mindless rush of day-to-day lives and I sit here alone in my heart chewing on my past and satisfying my selfish ego. But sometimes, things were brighter. We did celebrate few Diwalis with semi-Indian ecstasy and replace those oil lamps with Chinese made garland lights. Of course, being autumn, we are assured of not blowing off those lights, to our happiness. This year is a dampener, I did not even took a traditional head-bath and I often blame it always on the never complaining ‘time’. I guess its totally personal. One can relish on whatever they’ve got and one always wants more. I fell to to the later and I regret it more than ever. Diwali was not just about those crackers (we eat them here and we light them in India) but, its about bringing everyone together, looking at each other across the streets, greeting peeple with joy, eat happily and fill the sky with light. It’s human’s ever lasting fight against the darkness that for one day will kneel down before him and pay tributes. I miss all those treats and sweets that my mom used to make and the friends used to bring to us. The fragrance of new clothes and the scent of the burning oil. May this Diwali bring everyone the light they are waiting for and the happiness they wish. The festival of lights shall never be gone from my heart and God shall help me find the same joy here in my new home, America. Previous Stories of Life – I love this Ghost Next ..and the war continues..! THANK YOU . BEST WISHES TO YOU. Trackback: News | India Daily » A very Happy Diwali to all!! I have two kinds of friends. One who play Cricket and the other doesn't. When did I do what I did?